This podcast is a great resource for anyone wanting to know more about Christianity and the Catholic Faith, whatever your belief background is. There is such a wide range of topics covered by the show, and the apologists are top notch. I am especially impressed by how they respond to callers on the fly in a loving and compassionate way. I've learned so much and enjoy listening to the variety of speakers. Love the host, Cy, he is very funny! Great listen whether youâre Catholic or not. One day, I listened to back-to-back Catholic Answers and Word on Fire podcasts and the point was made during each one that many Catholics of the post-Vatican II generation have been poorly catechized. Although I had been listening to Catholic Answers podcasts for some time, that point gave me an epiphany and I have rededicated myself to my Catholic faith more strongly than ever. This podcast has taught me so much about my faith and the Catechism, particularly in the area of human sexuality, which is so central to God's will for us. Most of the episodes are of interest to me, but I really enjoy Tim Staples, Trent Horn and Father Hugh Barbour. God Bless you and the great job you do! This is my favorite faith related podcast/program. The host and guests are top notch, they have solid biblical answers that repeatedly support the claims and teachings of the true church as founded by Jesus Christ. Highly recommended as a go to resource. Please listen, and let it light a fire under you too! Let our zeal for the salvation of souls, ours, our loved ones, and all humanity, work for the glory of God! This podcast is very well done. Questions and topics are discussed and it is done in a very respectful and kind manner. The answers given are a big help to me in learning how to defend my Catholic faith. Great defenders of the faith. Itâs been sooo sad to listen to Jimmy and Tim (two men I greatly admired) slowly sell themselves out to the Francis effect. Young orthodox Catholics on fire for the church have become middle aged modernists, bending and twisting and nuancing francisisms tell they pass as Catholic...crushing their credibility, and the faith of those pour souls who turn to them in this catechetical vacuum for âanswers.â Truly, they are fiddling while Rome burns. Catholics and non Catholics will learn from this podcast! It's a call in radio show all about apologetics of the Catholic Faith. The host in my favorite he is so funny. This podcast produces good fruit. After listening, I desire to spend the rest of my day praying. Clear answers delivered with obvious good will toward all. Catholicism is very misunderstood, and callers who sincerely question what they have been led to believe are answered with detail and charity. For the past 18 years, Catholic Answers has been an integral part of my faith journey. It has helped me learn more about my faith than any church service or program. One part of the Cursillo method is study, and has been helped by Catholic Answers. It is not conservative nor liberal, but orthodox to the teachings of the Catholic Church. Thatâs why I love it! Do you want to know what the Catholic Church actually teaches? In an age of confusion, uncertainty and relativism Catholic Answers stands as an invaluable resource for every one who is searching for truth. Catholic Answers was instrumental in leading me and my family home to the fullness of truth five years ago. Be warned though: If you approach with an open mind, you will be crossing the Tiber. If you want to learn more about what it means to be Catholic, this is the podcast for you. Thoughtful, well-researched insight is always shared with grace and humility. May the Holy Spirit continue to guide the production of this show. A wonderful way to grow in your faith! I love being able to learn about my Catholic Faith while Iâm doing chores around the house. After several years of listening I have an incredible, basic, understanding of the Bible, Church history, Church Tradition, The Mass and The Churches stance on social issues. Life changing!!!! Firstly, although I consider myself Christian (unfortunately Catholics donât) Iâm not a catholic. Secondly, this podcast is absolutely AWESOME! Their answers are insightful and true to the faith (as far as I know it). The content has helped build and strengthen my belief in God, Jesus the Christ, and the importance of Christian theology in our society as a whole. Catholic Answers is a great way to learn about the Catholic Faith and bring you closer to Jesus. The topics are varied and wide in scope but also accessible. The answers are given fairly and gracefully with care for each caller. To claim this isnât an accurate look at Catholicism is to be say it isnât a look at Catholicism that You would like. It is a look at the Church and her teaching. My husband and I started listening to Catholic Answers Live about 4 years ago. I was raised Catholic and have learned SO much about my faith and how to share it from the knowledgeable apologists! My husband, raised Lutheran, will be brought into the Catholic Church this Easter, thanks to the explanations of Catholic teachings on this show! Very informative and engaging podcast. Respectful of people who donât agree and willing to delve into discussions and inform with truth. Been listening for over a decade and couldnât go without. This is the best pod cast for Catholics and non Catholics alike who truly want to understand Christianity in its fullest form. No fluff, no platitudes, no political spin either. The Truth explained by some of the most brilliant apologist of our times. I highly recommend this podcast if you ever wonder why Catholics believe in such and such doctrine. I also recommend it to those who are Catholic and truly want to know and understand their faith better and more deeply. My wife and I owe so much of our faith formation to the good people at Catholic Answers. The apologists give loving and gentle responses to every challenge or question. The do an unbelievably great job of explaining some fairly deep theology in the limited time they have each show. I cannot recommend this show enough to anyone looking for a deeper understanding of the Catholic Faith. May God bless and keep you all near forever. This apologetics program has helped me to fully understand and embrace the fullness of the gospel offered only in the Catholic Church. I learn something new each episode. I love when Jimmy Aiken or Patrick Madrid or Trent Horn get on the show and answer questions about the Faith as well as Defend the Faith! I've learned so much from these fantastic and knowledgable theologians! Thanks so much for all you do! This podcast has been a phenomenal aid to helping me understand the a deep intellectual roots of my Catholic faith. Keep up the good work! I am a cradle Catholic and I fell away from the church. Catholic Answers helped me on my journey back to the church. The show gives me a deeper understanding of the reasons why we believe what we believe. If youâre a Catholic who struggles being Catholic- donât research other faiths- use Catholic Answers as a guide to understanding the deeper meaning and love our church has for Jesus Christ. A concert of seven years now I love listening and always learn something new. Ever wanted to know more about Catholicism? This is the right place for you! Do yourself a favor and subscribe. This podcast has been life-changing for me. Cy talks & interrupts entirely too much. I feel so blessed to have found this podcast. I have learned so much from listening. God bless you guys for all you do! This show is very generous in presenting the faith and also unafraid to engage in dialog with other worldview challenges. Glad to see they'er offering the show in Podcast form. I normally listen on Living Bread Radio out of Akron. I began asking questions about my Protestant faith and stumbled on to Catholic Answers. Has been instrumental in leading me to the Catholic Church. My family and I will be received into the church on Easter vigil '18. I listen every day and I have yet to be disappointed. Great for anyone eager to learn more about the truth. Fantastic faith formation we all need to hear. RCIA did not teach me this stuff. The best resource for catholic apologetics. I have been a loyal podcasts since 2010. You helped keep me in the church during the lowest point of my life. Keep up you mission! When I was contemplating becoming Catholic, I didn't miss a podcast. I learned so much and had many of my misconceptions corrected. Thank you so much for this well informed resource. It was a huge part of the reason I entered the Church at Easter Vigil 2016. Although I miss the former host, the new host has a wonderful, humble spirit and will be great. This podcast is my single favorite as it gives me endless opportunities to learn about my faith. I will always strive to know more and each episode provides something for me to take away. As a cradle Catholic, I thought I knew plenty about my faith. This show proves otherwise. Over the last year, I have gained knowledge and feel more comfortable in discussions about Catholicism, than ever before. It's nice to get the answers to questions that I've never ever thought to ask. 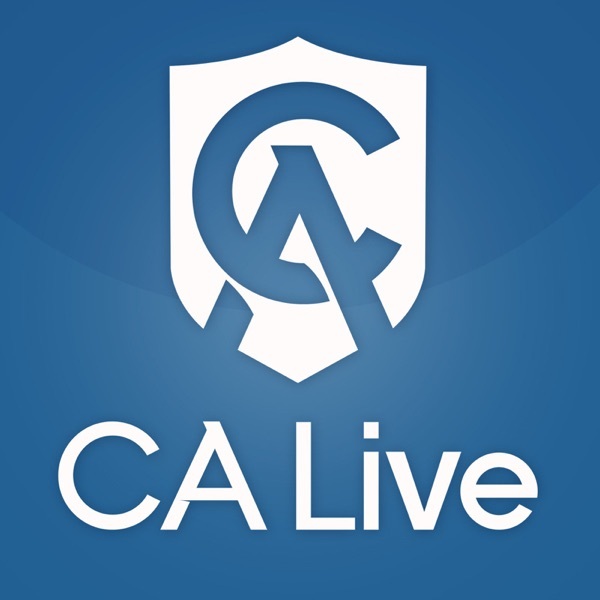 CA Live does exactly what it sets out to do - explain and defend the Catholic Faith. Obviously, various people may disagree with their positions, but they do a good job of presenting the position of the Catholic Church. I've been listening for about a year and a half -- helped me move from lukewarm to on fire! Thanks CALive team! Catholic answers deepened my knowledge and love if Christ and His Church. I am very confident in the truth of the Church and in my ability to explain and defend the faith as well. Thank God for CA Live! Catholic Answers is very accessible and informative. I encourage every Christian to listen to this podcast.